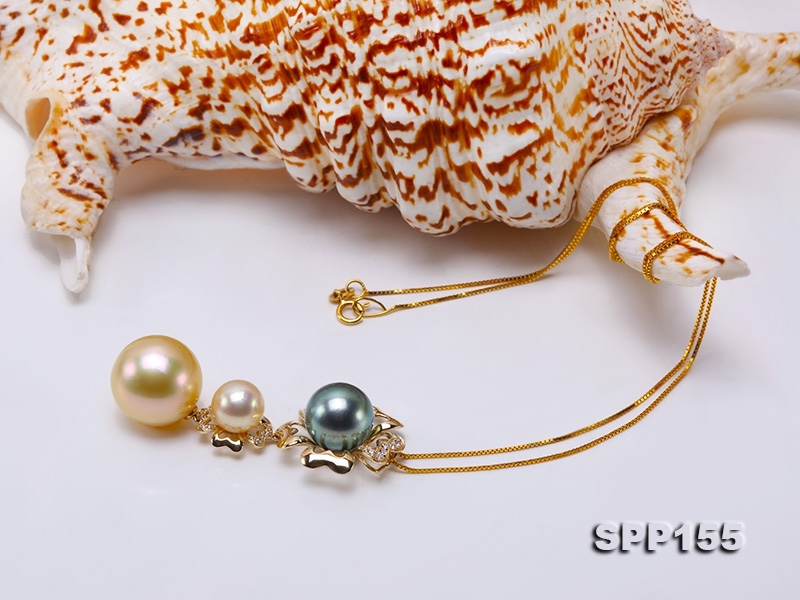 Gorgeous seawater pearl pendant made of a 15.5mm golden round south pearl, a 9.5mm white round Akoya pearl and a 11.5mm peacock Tahiti pearl. 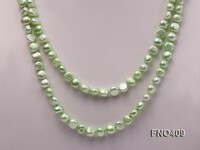 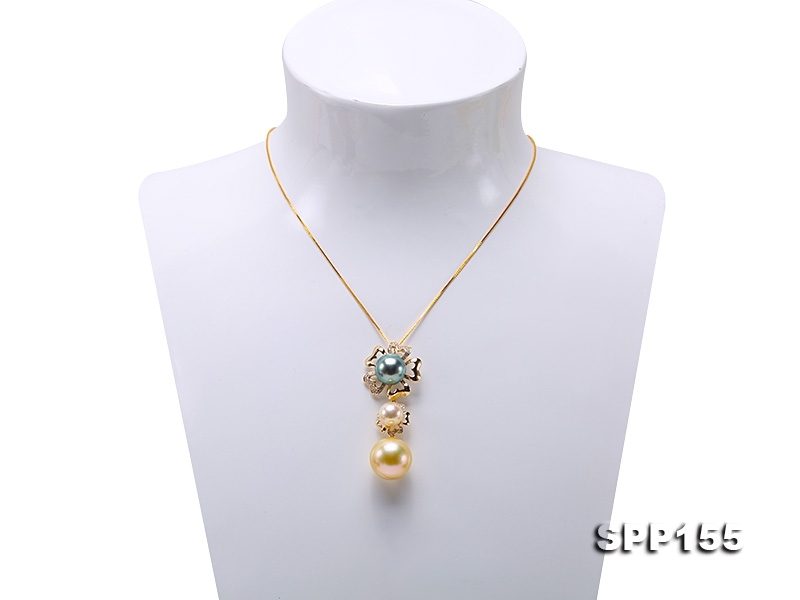 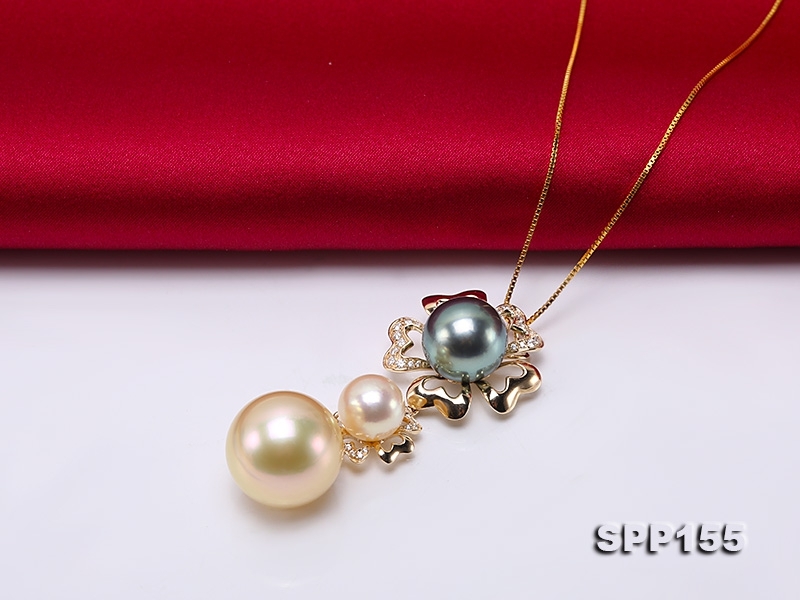 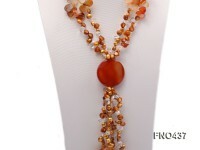 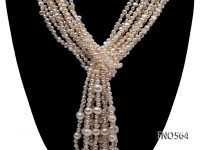 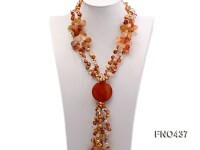 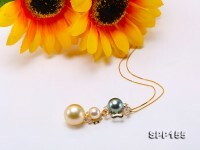 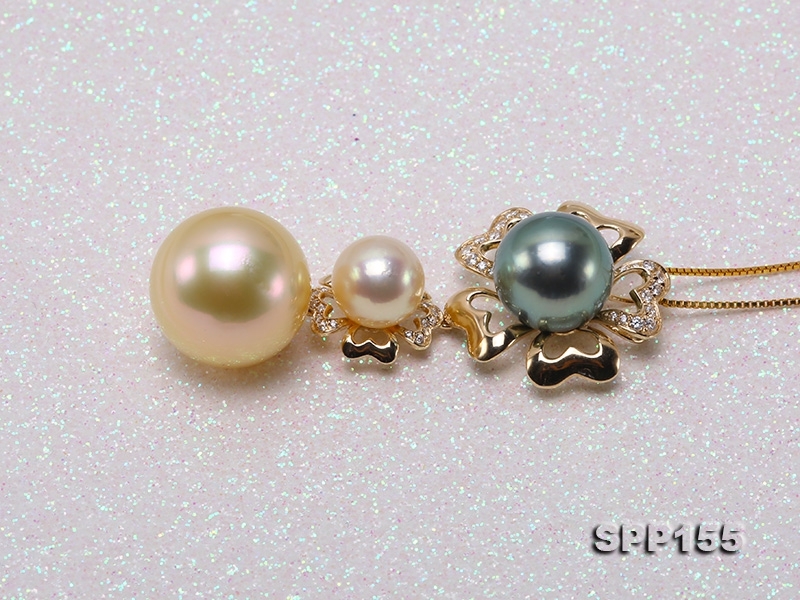 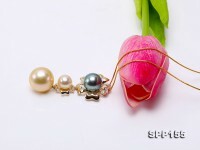 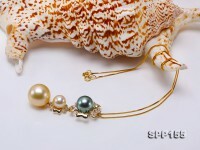 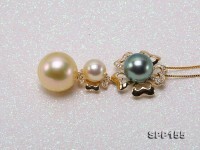 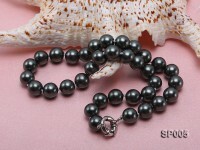 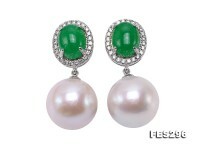 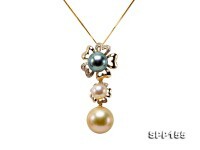 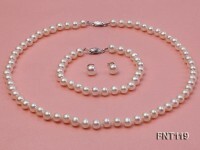 All the three pearls are highly lustrous with very few blemish spots and they’re perfectly held by 14k gold settings. 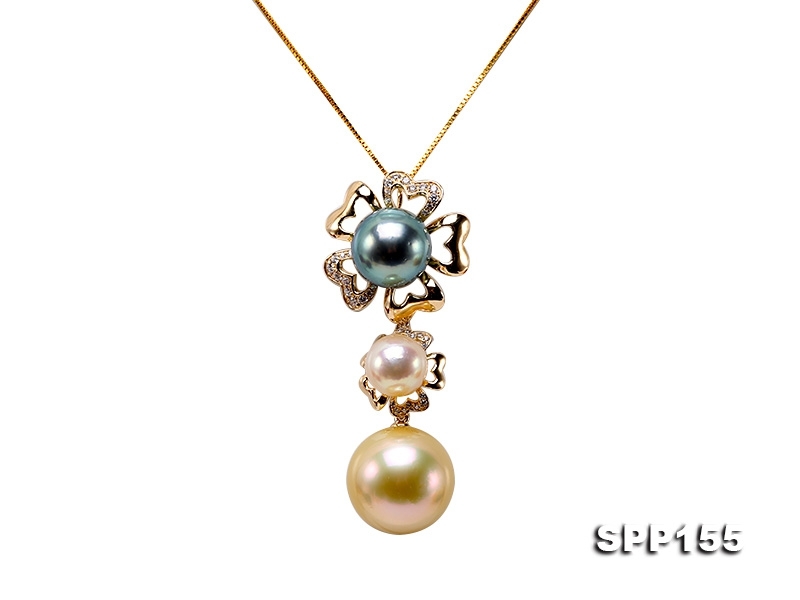 With unique design, the pearl pendant naturally reveals a combination of ultimate luxury touch and unrivaled beauty of its kind by mixing three most valuable pearls in three colors.